For the past few days disaffected youth in London and other UK cities have been rioting. This map shows the correlation between poverty and these incidents. 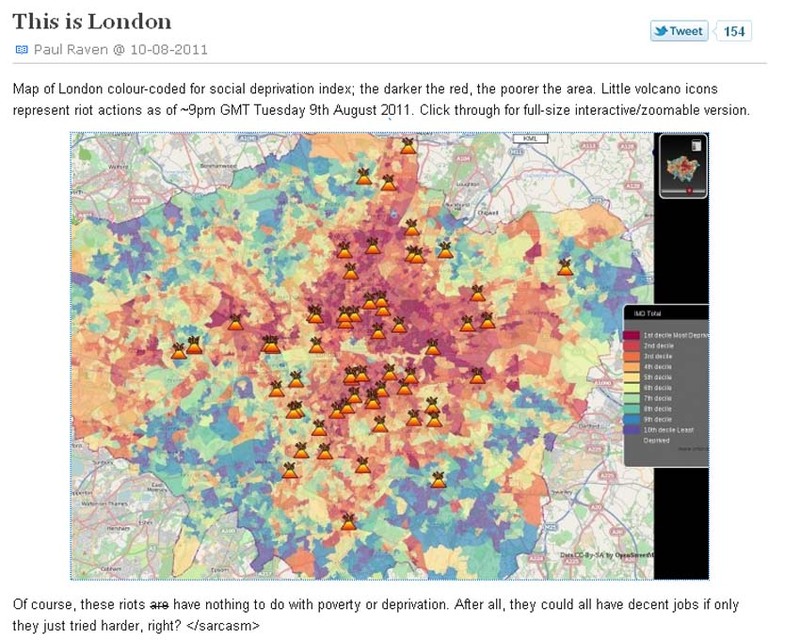 This is the first interactive poverty map that I've found for London. The map was posted in this blog. Here's the full-size interactive version. This map is created on a platform called MapTube, which is a product of the work undertaken by the Geographic Virtual Urban Environments (GeoVUE) team based at University College London's Centre for Advanced Spatial Analysis (CASA). 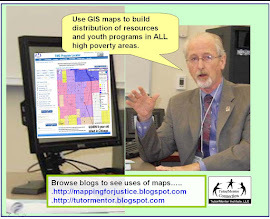 I'm not sure the creators have the same goal for their maps as we do with the maps we have crated at the Tutor/Mentor Institute, LLC, but I'd like to connect to see if there are ways we might collaborate. Note: On the Social Edge forum Charles Cameron shared these links that he posted on UK blogs to encourage readers to take a look at the Tutor/Mentor Institute's map strategies.